Need a little more table space? 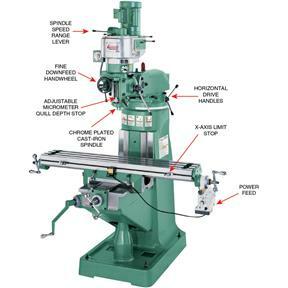 Try this 9" x 49" turret type knee mill. It has all the same great features as its little brother but it has the added table length necessary for those longer parts. 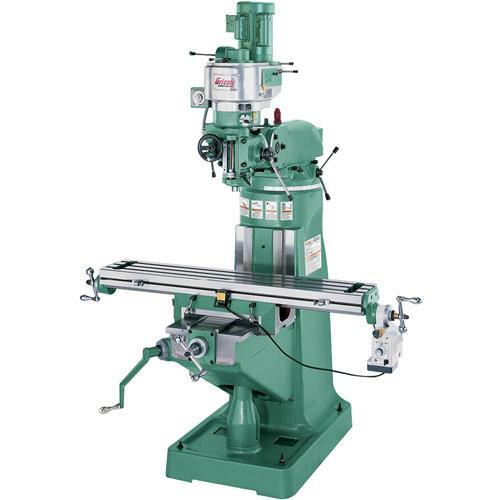 This mill is an exceptional value. And of course with 2 HP, large slide surfaces and heavy castings, this milling machine will perform with amazing rigidity through some of the toughest jobs. Quill feed/spindle rev. : 0.0019", 0.0035", 0.0058"
Max. distance spindle to column: 20"
Approximate shipping weight: 2412 lbs.